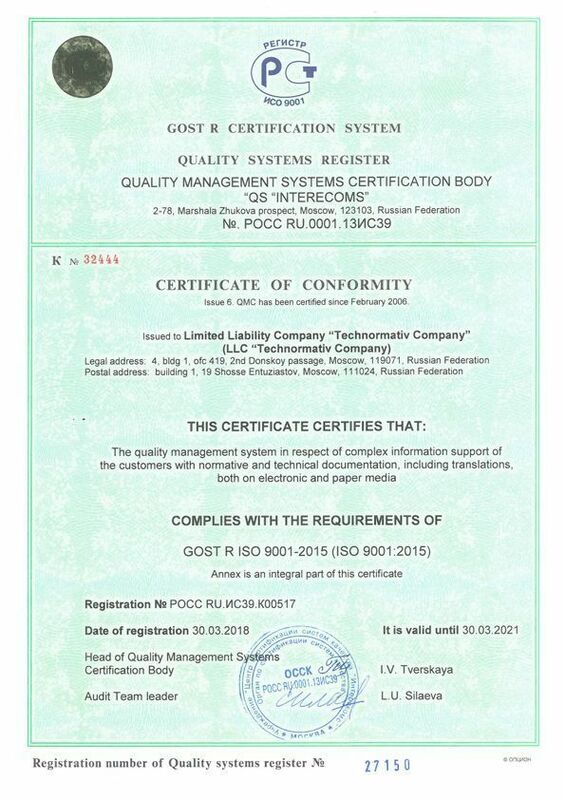 For more than 15 years, Runorm has been committed to setting the highest standards for quality and client service in providing Russian norms, standards and regulations. 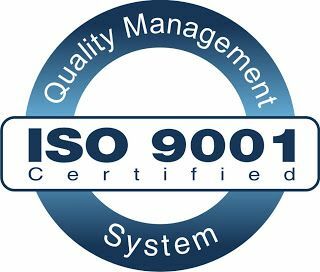 Quality management system of our Company is certified against International standard ISO 9001. The services rendered by our experienced staff will meet the customers’ needs and expectations for accuracy, timeliness, and quality. All personnel within the Company are responsible for the quality of their work. Runorm provides training and has established systems to assist all personnel to achieve the standards required. The most important part of our work is the translation of documents. To meet our customers’ requirements and to produce finished work that we can justifiably be proud of special attention is paid to the selection of competent translators. All translators and interpreters are full-time linguists with university degrees having extensive technical background in the relevant industries. Each translator works exclusively within a specific industry field or area of expertise. Depending on the type and kind of the source text, we choose the most appropriate translator for your project. Each translator has at least 5 years of technical translation experience and have passed an examination before working for Runorm. We use innovative market-leading SDL Trados translation software, online glossaries and client-approved vocabulary to speed up the translation process and improve the quality. These high standards ensure the quality of our finished product. We guarantee timely execution of all orders and accurate translation of the documents you request. If a customer complains, we are committed to investigating the complaint and will do our best to put right all justified complaints.